SPECapc for Solidworks 2017 is performance evaluation software for vendors and users of computing systems running Solidworks 2017 CAD/CAM software on Microsoft Windows 10 64-bit platforms. The benchmark consists of nine graphics tests and two CPU tests. 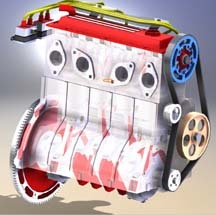 The graphics-oriented tests use three Solidworks view settings -- RealView, Ambient Occlusion and shadows -- in combination with shaded and shaded-with-edges display styles. Two CPU tests within the benchmark perform tessellation and PhotoView360 rendering. The benchmark features 10 models, with the largest containing 4.75 million triangles. 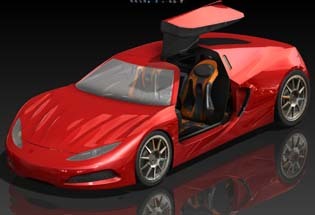 Features exercised in the SPECapc for Solidworks 2017 benchmark include Order Independent Transparency (OIT), a modern methodology for quickly displaying transparency, and Full-Scene Anti-Aliasing (FSAA) for higher-quality visuals. The benchmark can be run with either the default anti-aliasing method (edges/sketches only) or with FSAA. SPECapc for Solidworks 2017 is available for immediate download. It is free for everyone but sellers of computers and related products that are not members of SPEC/GWPG; these vendors are required to pay a $2,500 vendor license. Dassault Systèmes Solidworks 2017 Service Pack 5 or greater, full licenses or trial version. Enablement for Solidworks graphics hardware-dependent features such as RealView and OIT are baked in the application and support for new graphics hardware is added via Solidworks service packs. For this reason, SPECapc has deviated from its norm of requiring a specific service pack when running the benchmark. Please be aware that performance may differ between service packs so the best comparison is with the same version of service packs. 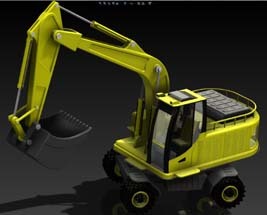 Graphics hardware that fully supports Solidworks and RealView, Ambient Occlusion and OIT. Solidworks 2017 does not support OIT for all graphics hardware, and will instead use an older style transparency. Non-compliant results should not be compared to compliant results. SPECapc thanks Mike Cripps, a graphical applications technology director for Dassault Systémes Solidworks, for his ongoing work supporting the SPECapc for Solidworks benchmark. 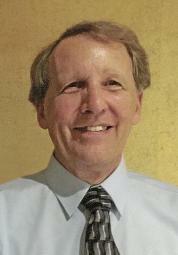 Mike also served as a company representative in the early days of the SPEC Graphics Performance Characterization group (SPECgpc). He passed away in late June 2018, but will always be a part of the SPEC/GWPG family.